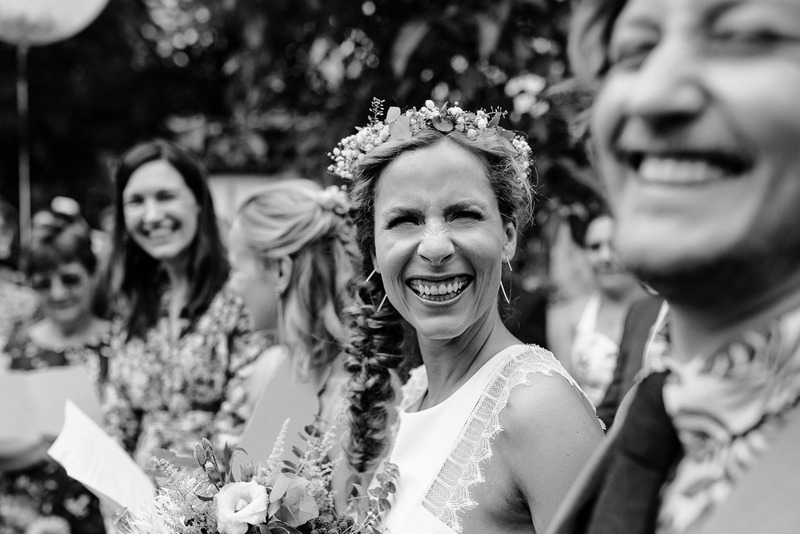 ⋈ I would like to dedicate the first blog post of 2018 to the beautiful DIY garden wedding of Linda and Wolle. 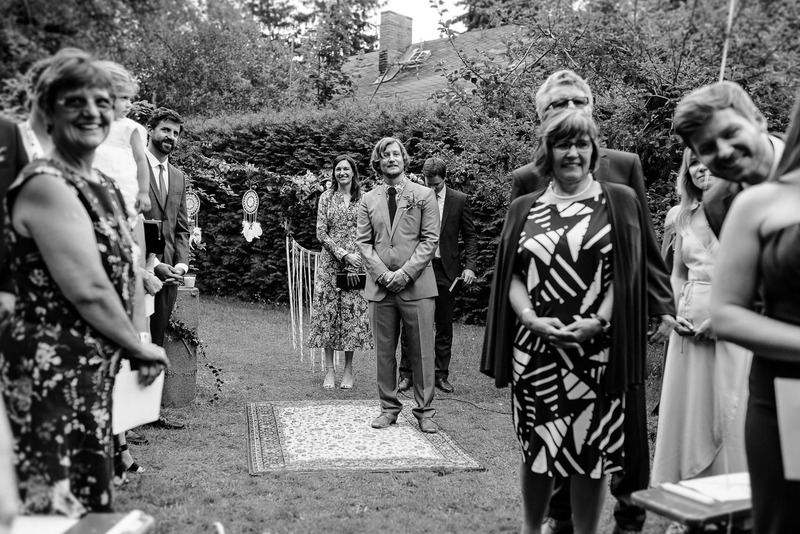 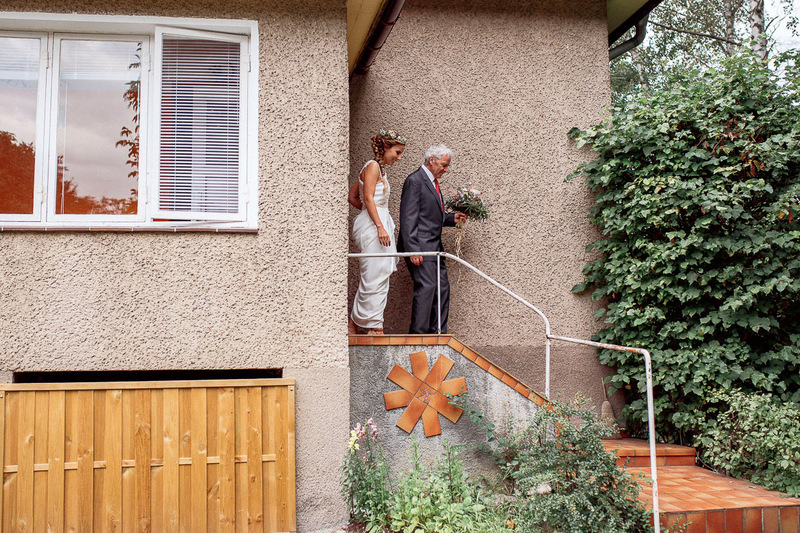 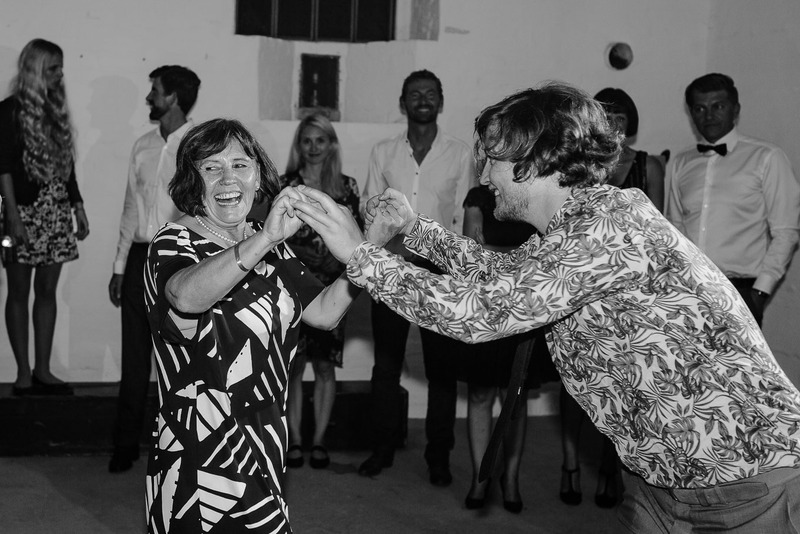 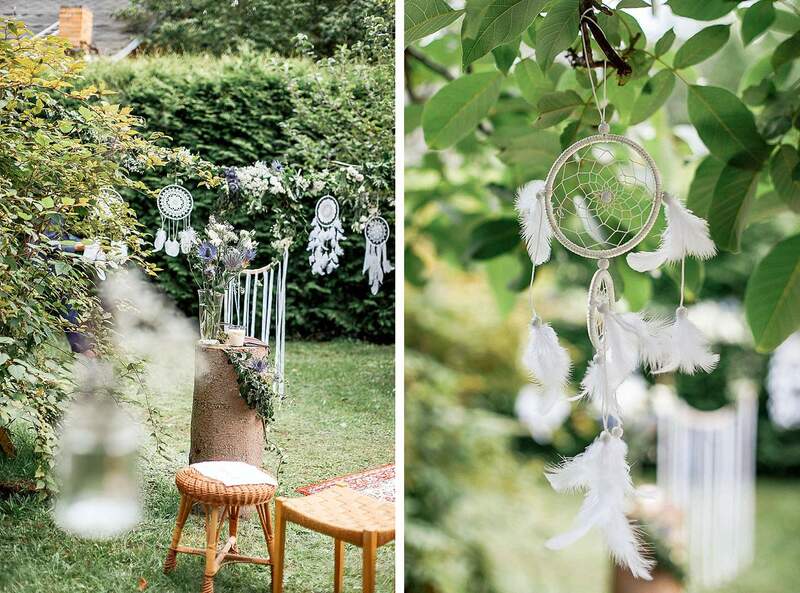 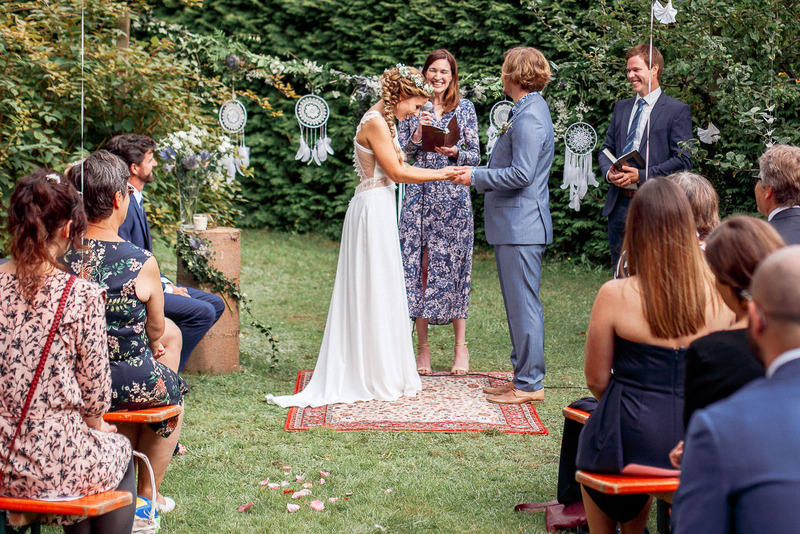 The ceremony of Linda and Wolle’s wedding ceremony actually took place in their home garden. 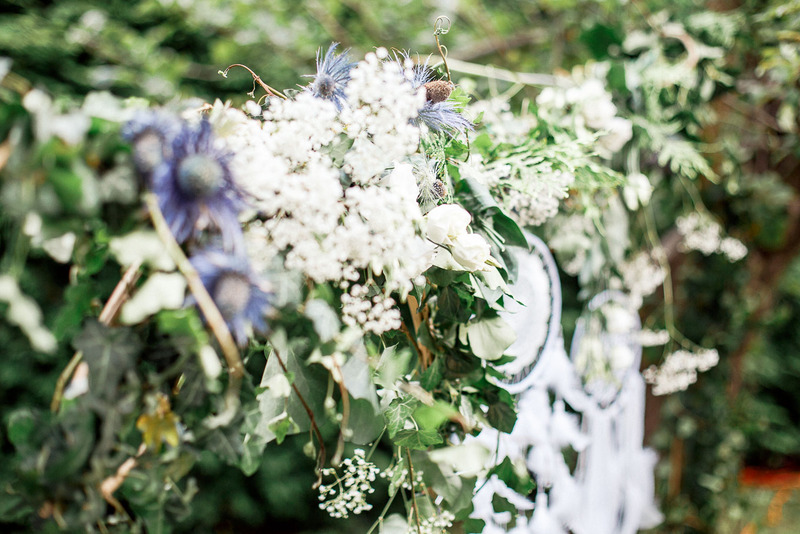 With a lot of creative effort and a loving eye for details the garden had been transformed into a beautiful backdrop for their wedding. 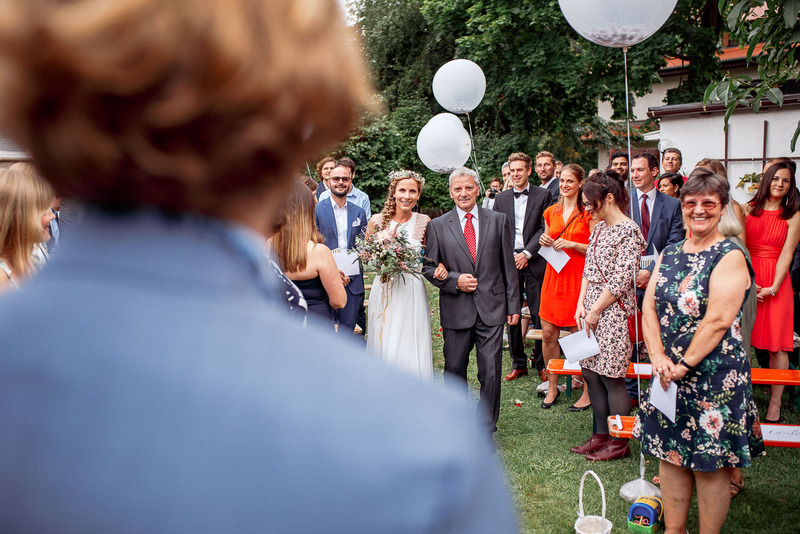 The wedding ceremony itself was held by close friends of the couple. 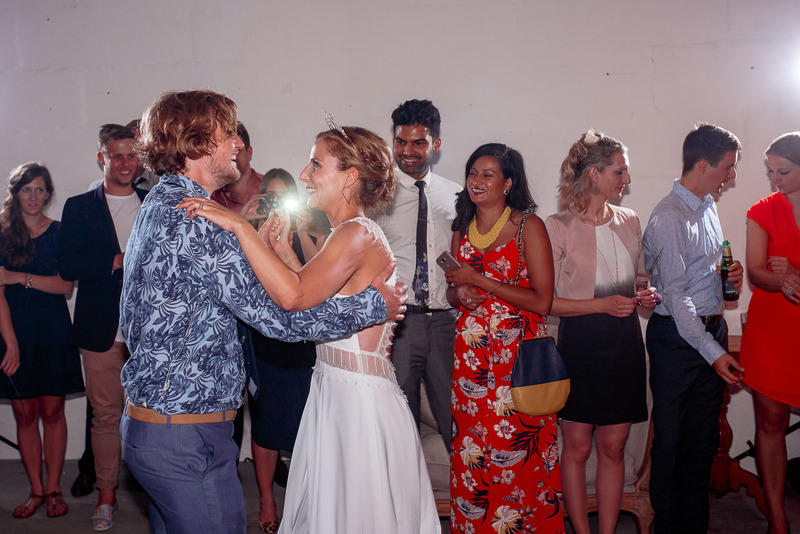 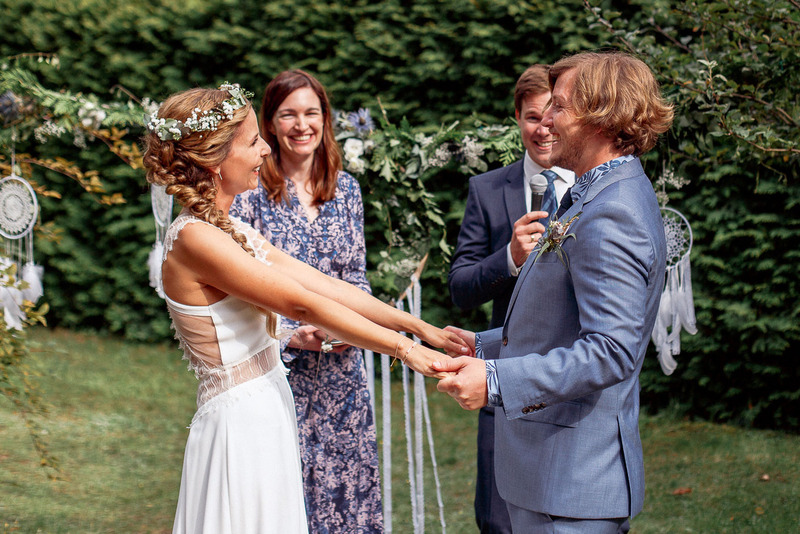 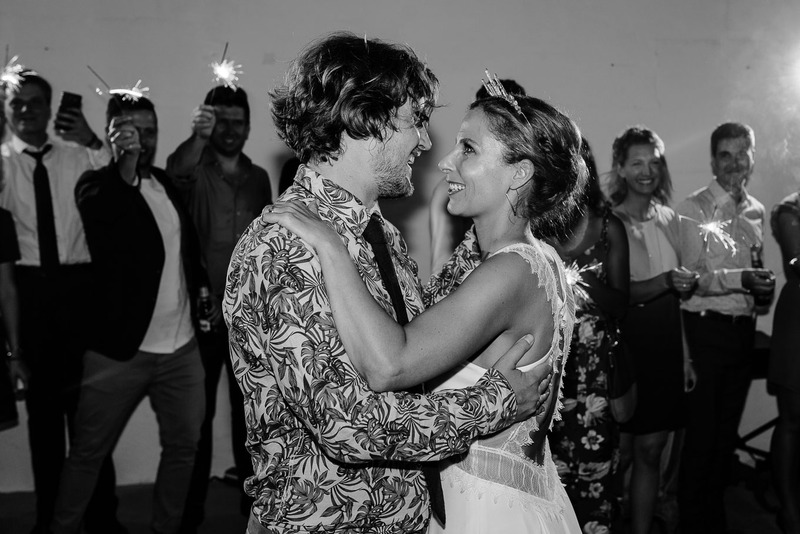 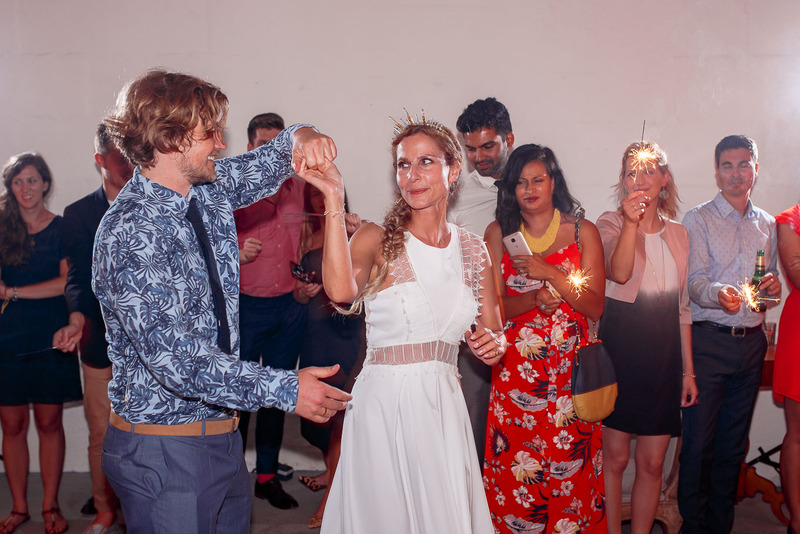 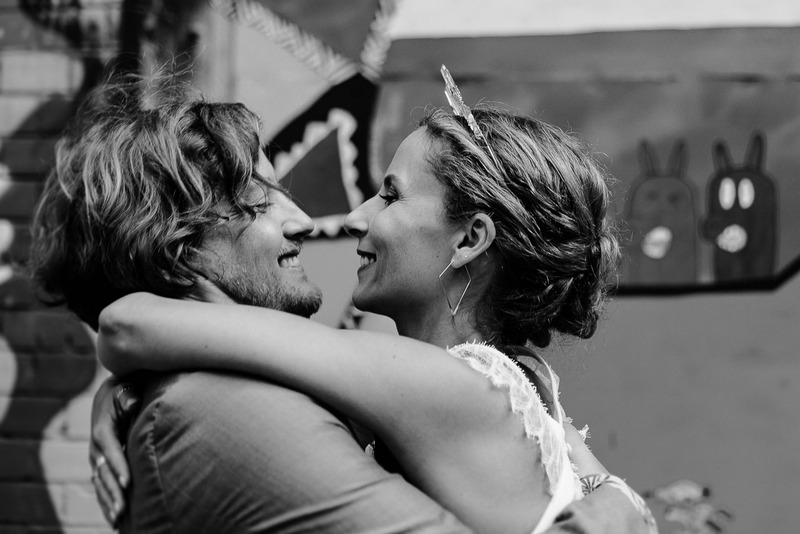 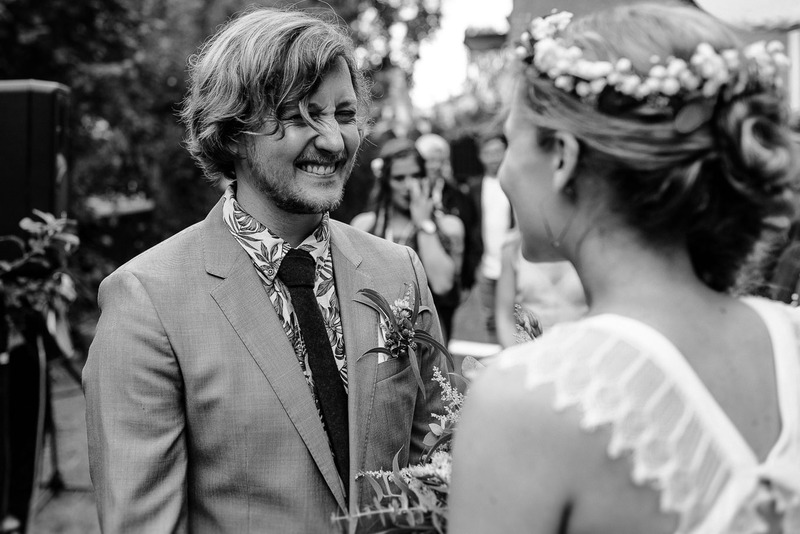 The vows were said both in German and English, as some of the couple’s friends had travelled all the way from Australia to witness this romantic union. 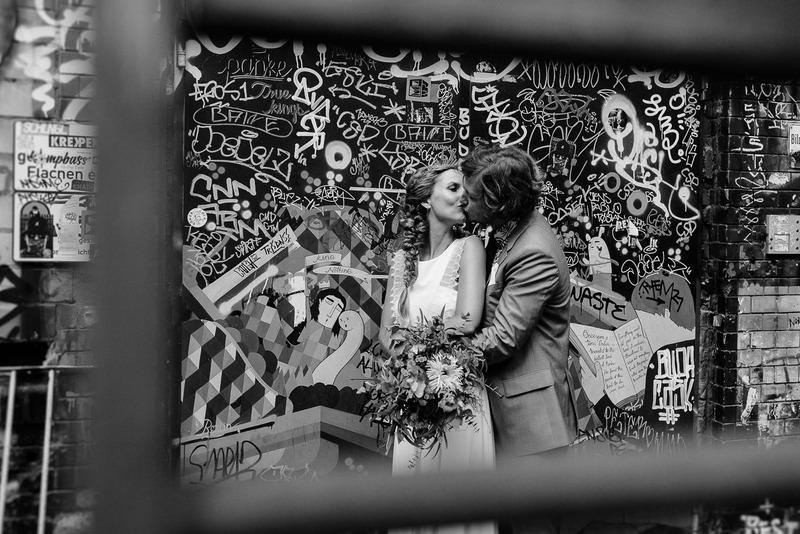 I had gotten to know the two of them as a quirky couple, who are completely and utterly in love with each other. 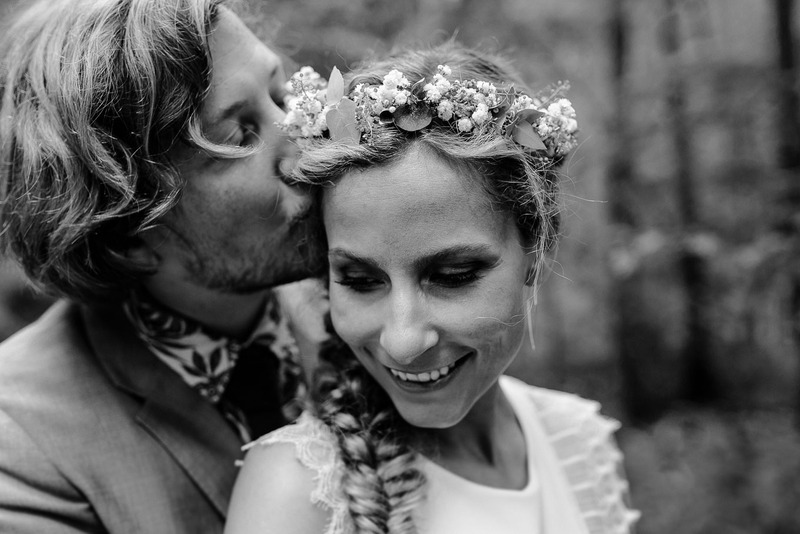 Through documenting their special day I have seen even more facets of their beautiful connection and loved creating this wedding story. 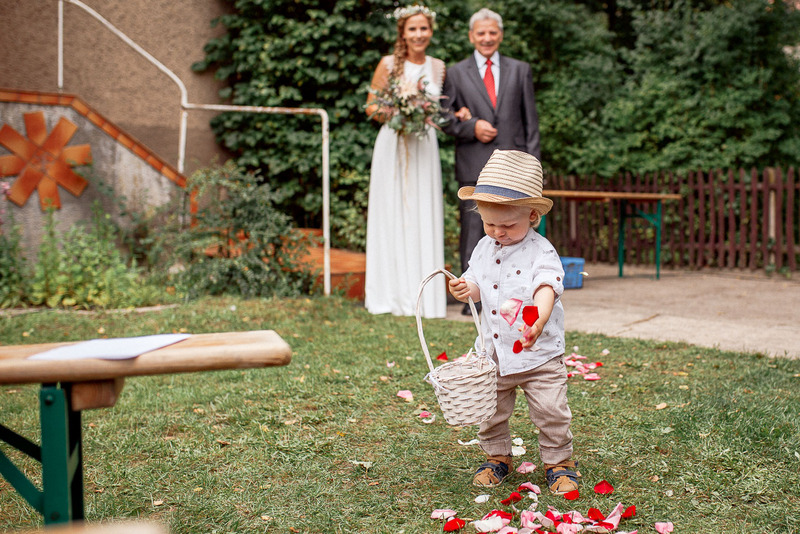 Part of the reason why this wedding was so special was the different creative settings throughout the day. 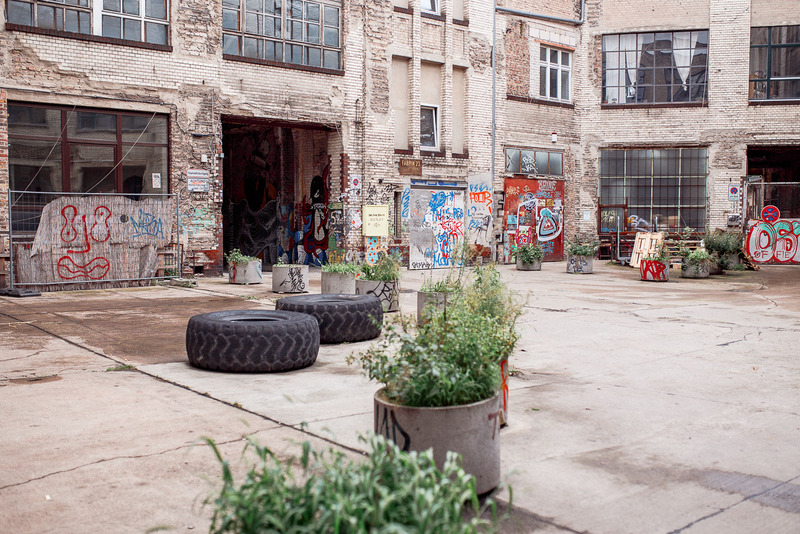 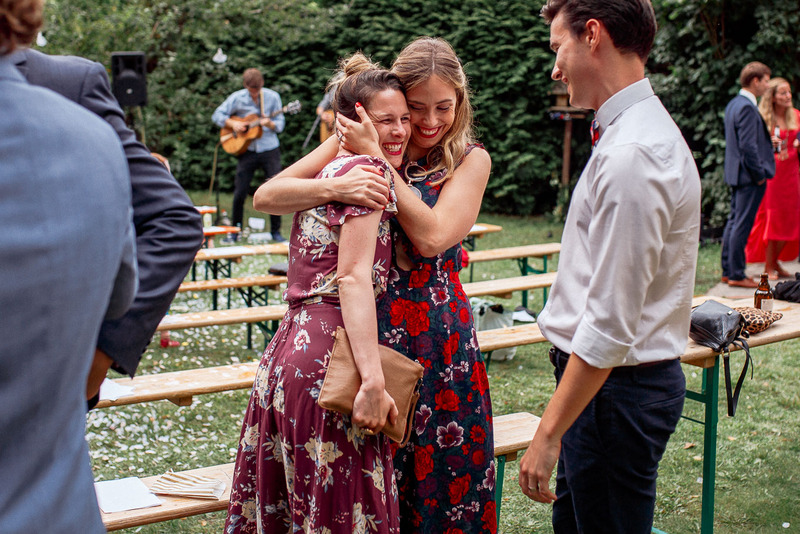 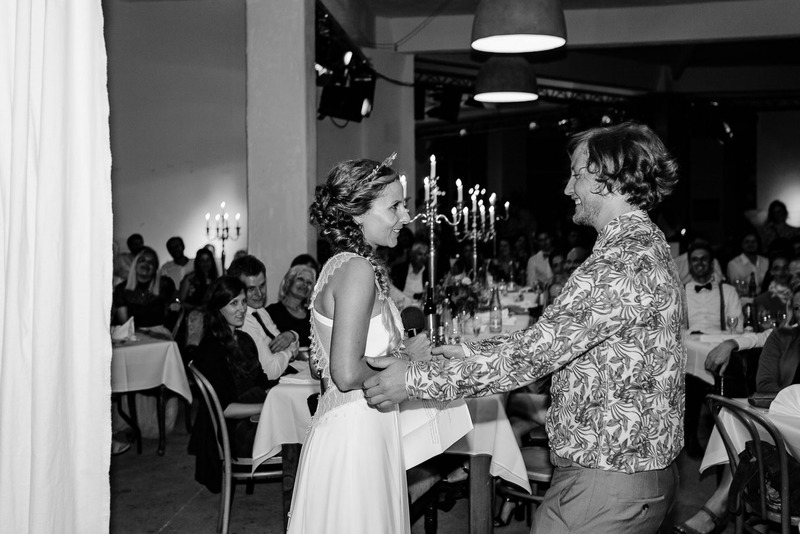 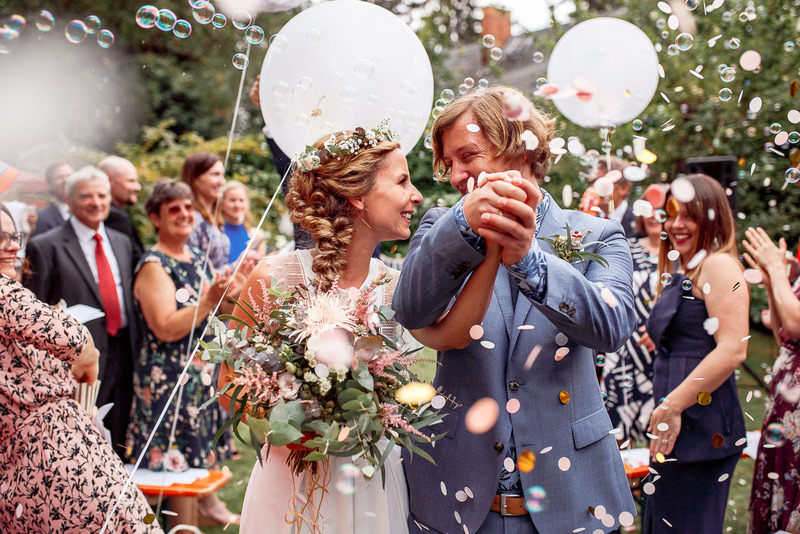 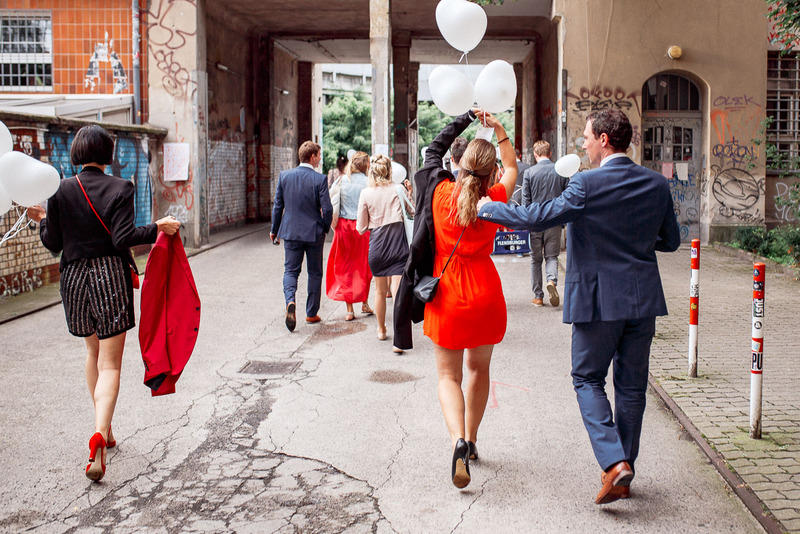 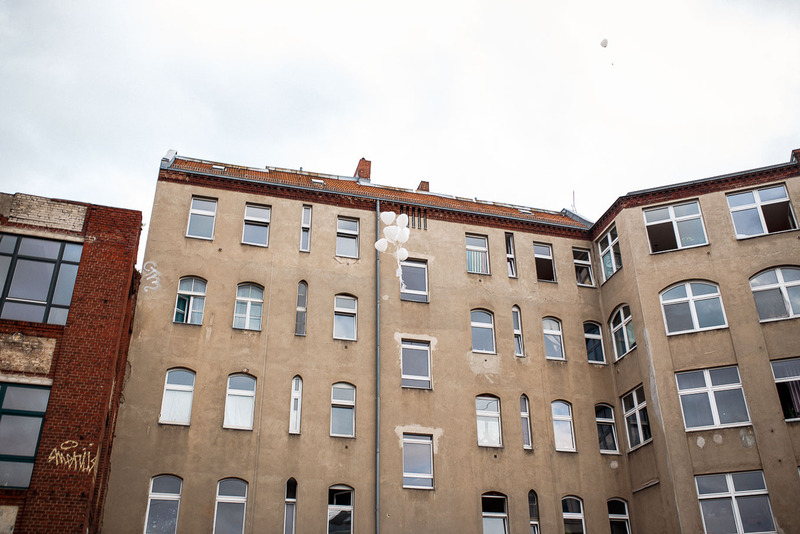 On the one hand they said ‘yes’ in the beautiful garden, on the other hand they celebrated at the urban setting of Fabrik 23 in the heart of Berlin. 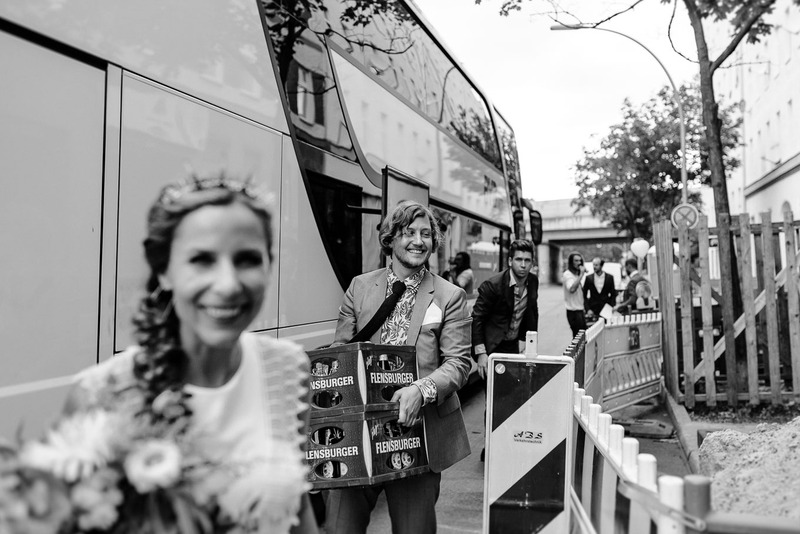 To me it felt like a couple of small weddings, the trip with the little bus and people changing their outfits only added to that feeling. 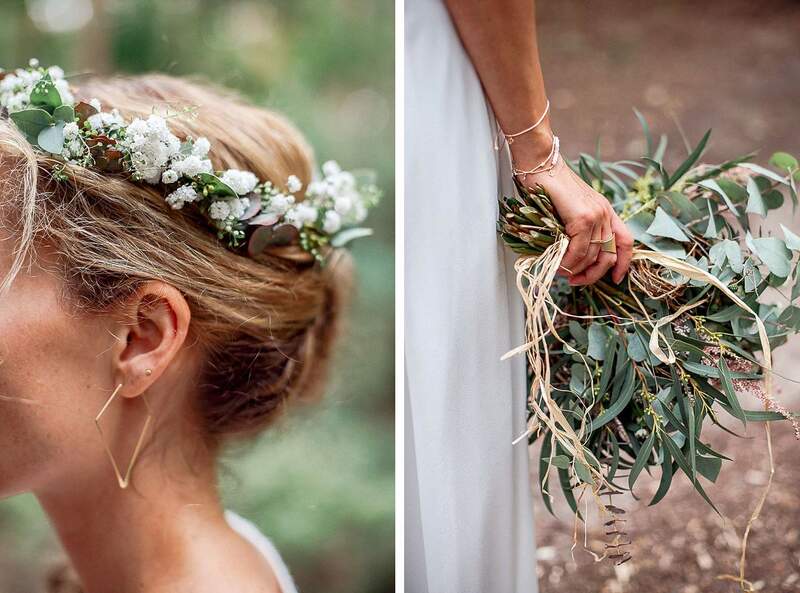 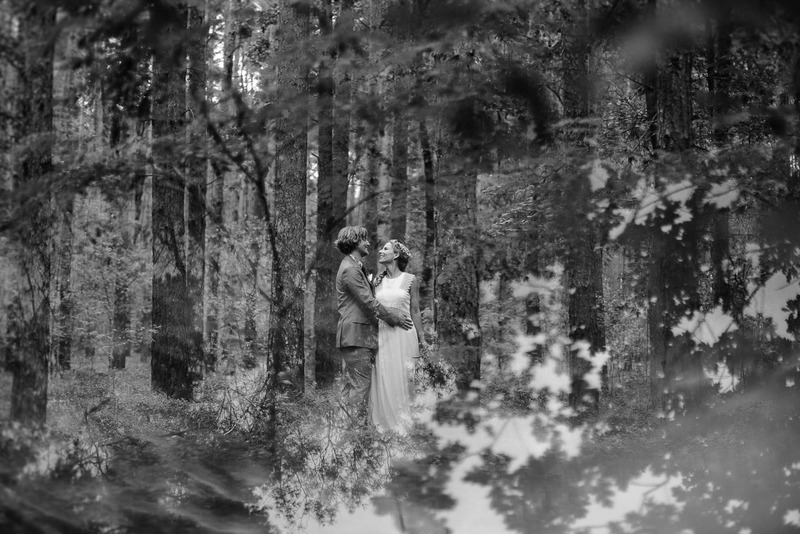 The first part of the bridal shoot took place in a piece of neighboring forrest. 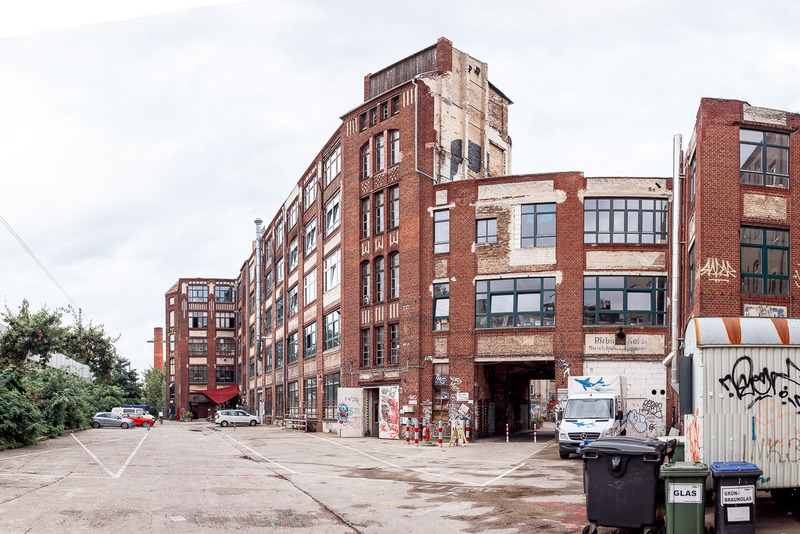 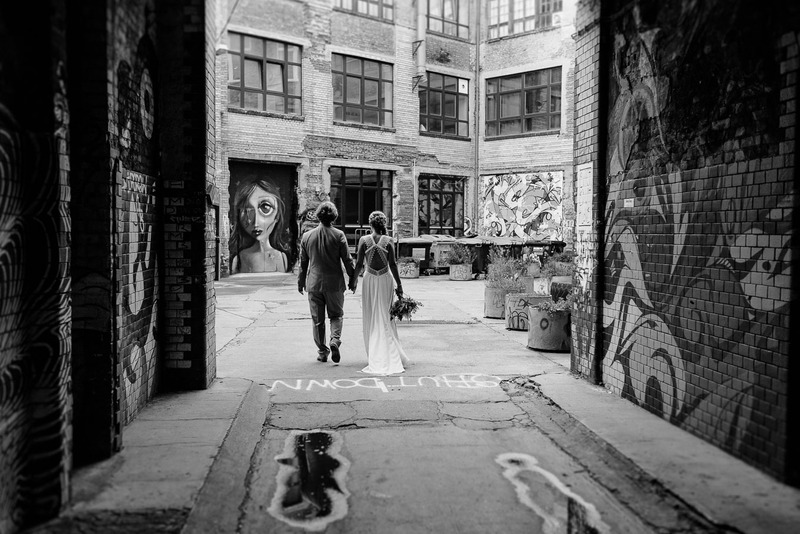 Afterwards we were taken to Berlin Wedding on a small bus, where we arrived at the very urban scene of Fabrik 23 in Gerichtstraße. 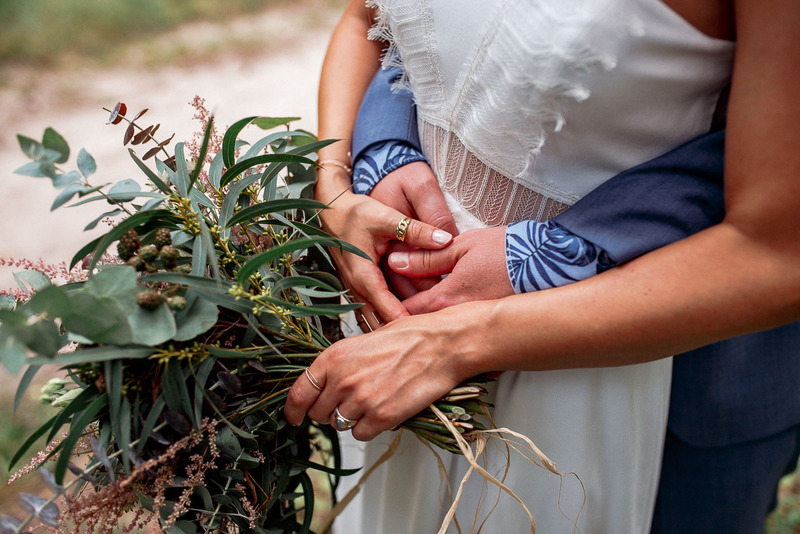 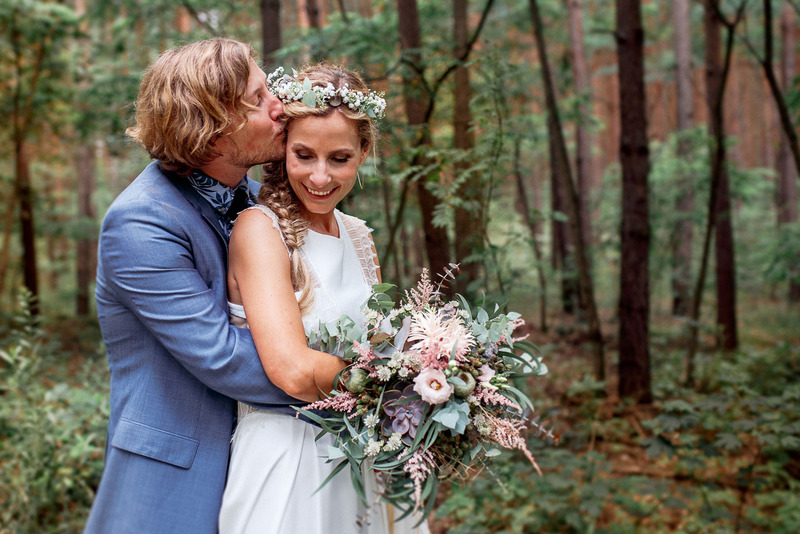 I really enjoyed the fact that I got to photograph a garden ceremony, a forest bridal shoot and an urban celebration – all in one day. 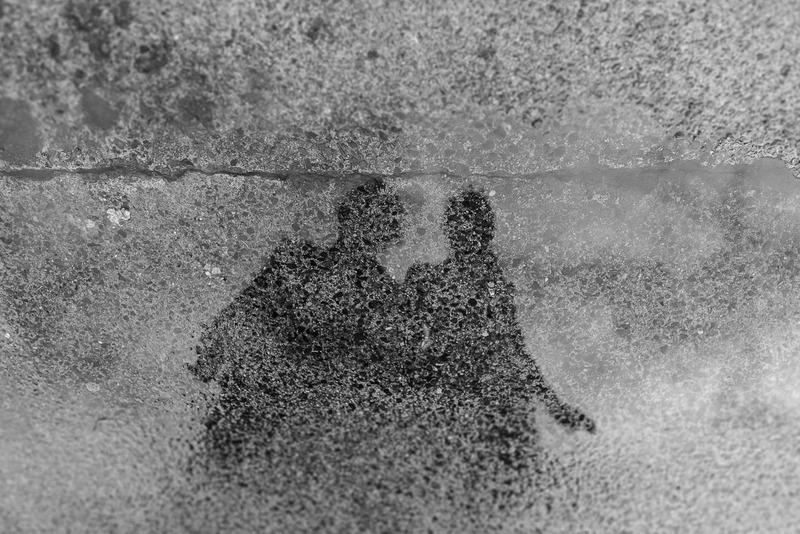 I do believe that that is a first for me, but hopefully not a last! 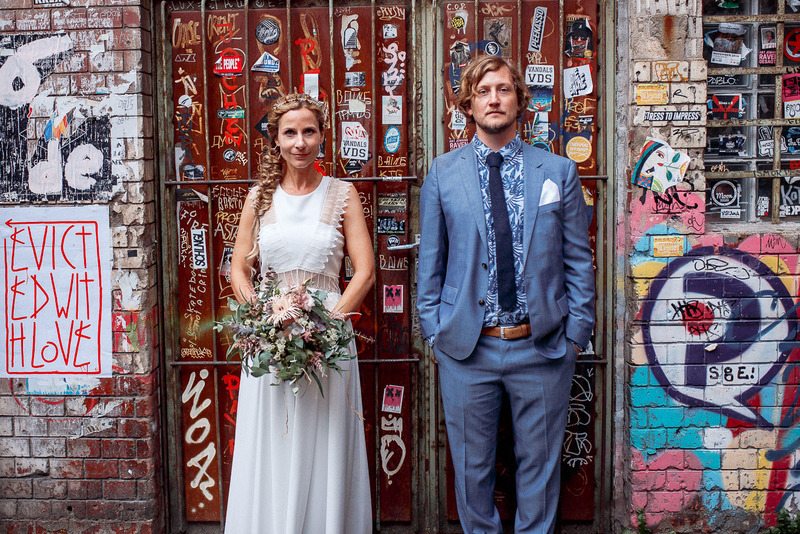 We continued to shoot, creating relaxed and fun couple photos in the courtyard of the location. 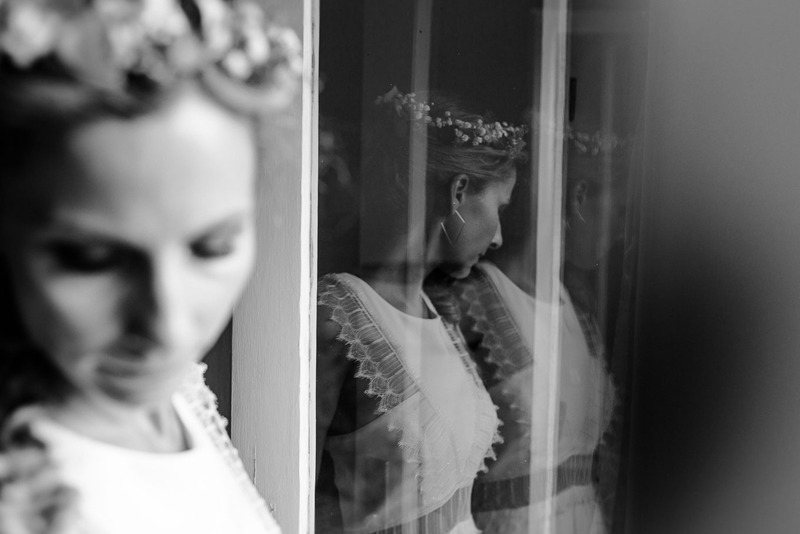 Even though it was a summery and warm evening we were being spoiled by a lack of people, therefore we were free to explore the surroundings and use them as a backdrop for a unique and urban bridal shoot. 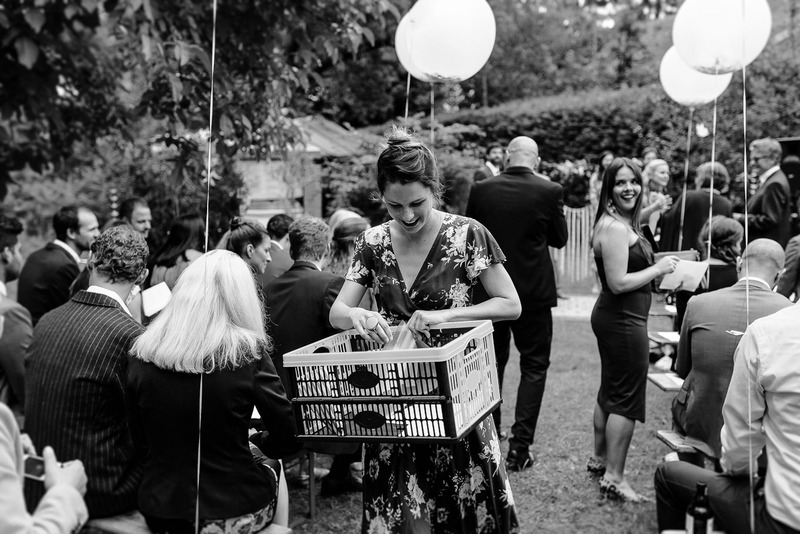 In true summer wedding fashion the sun stayed with us for a long time. 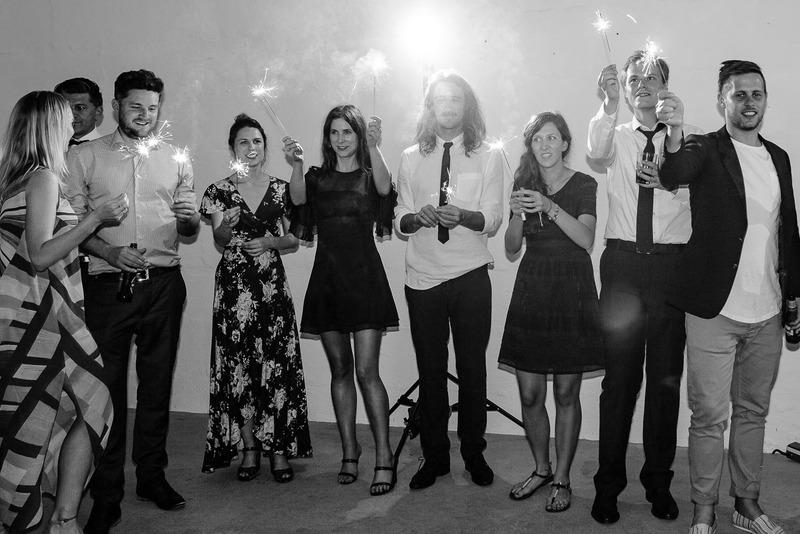 Later the party moved inside where the bride and groom had their first dance, which was illuminated by sparklers. 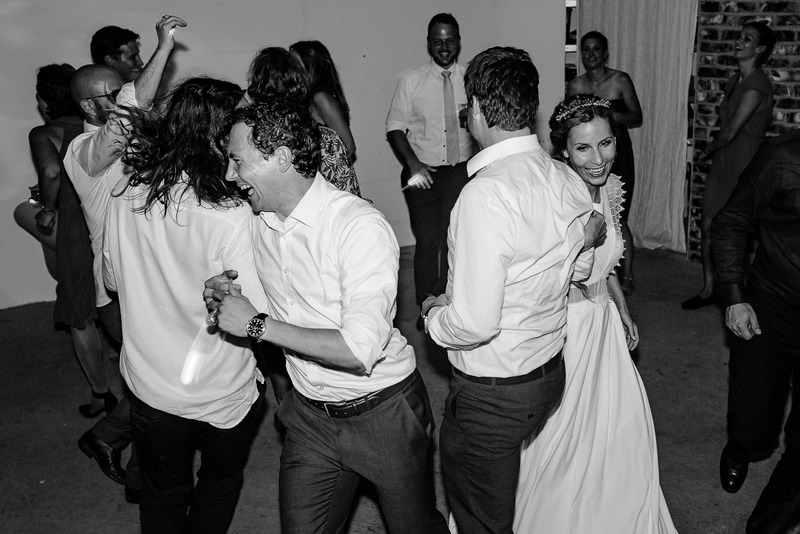 The celebration continued long into the night. 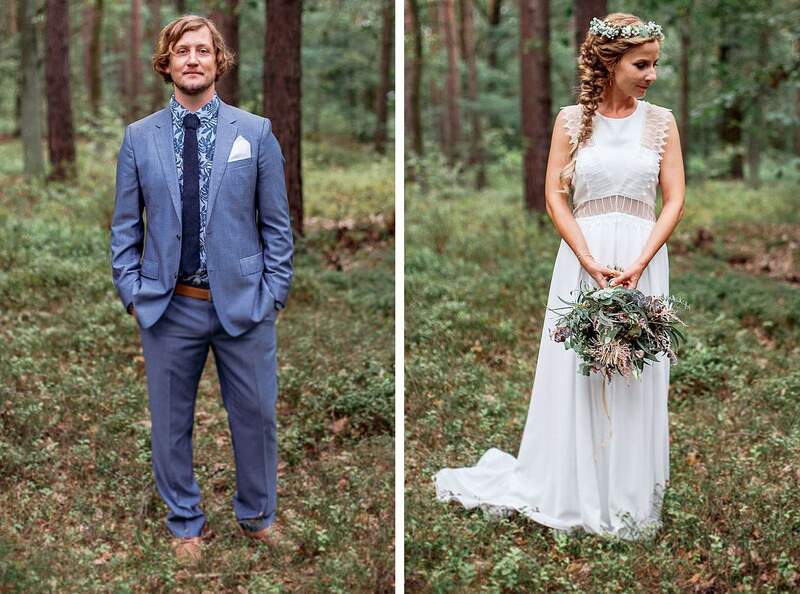 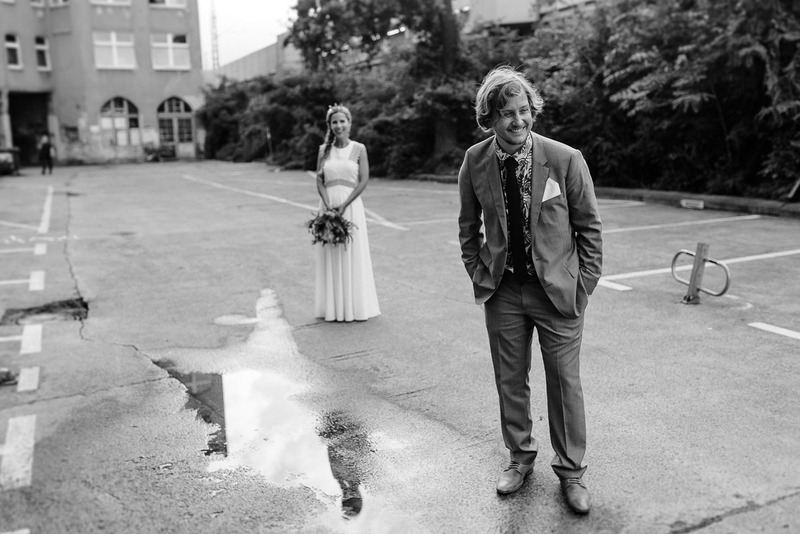 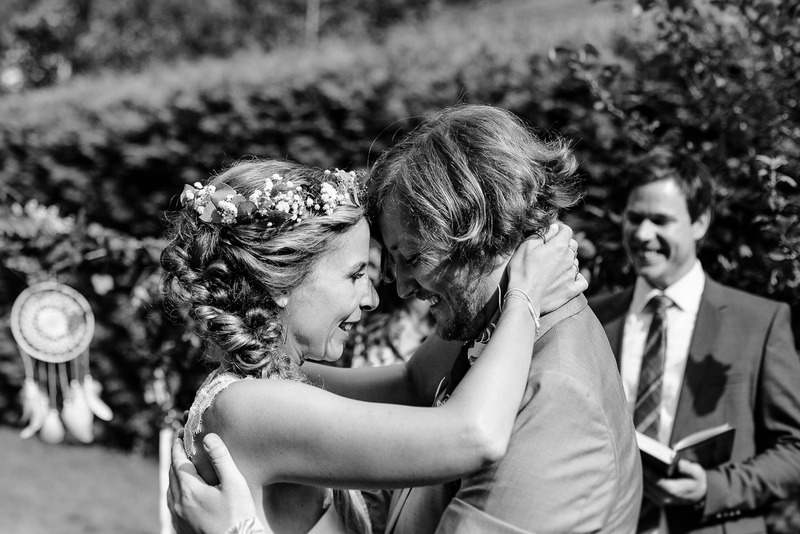 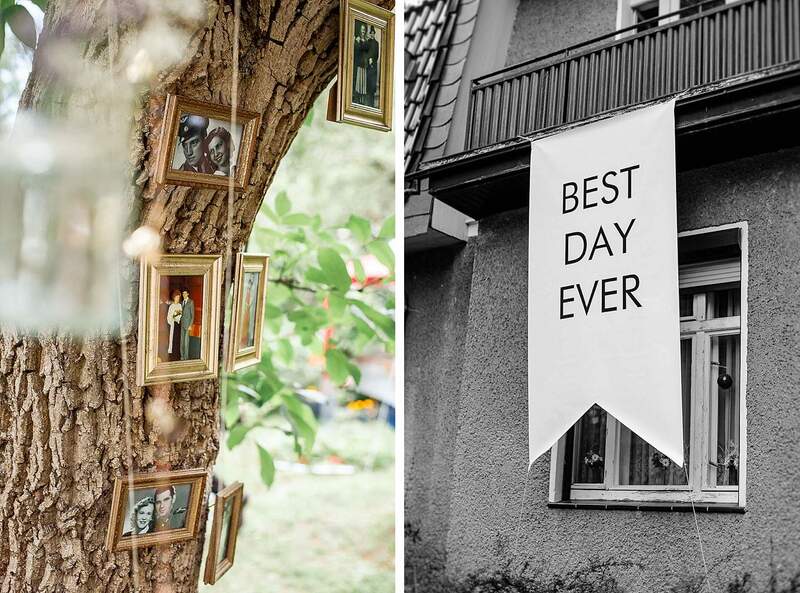 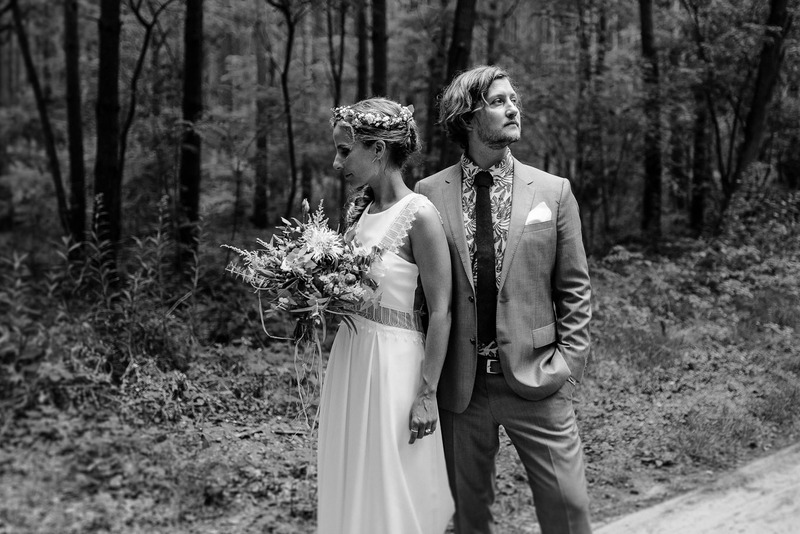 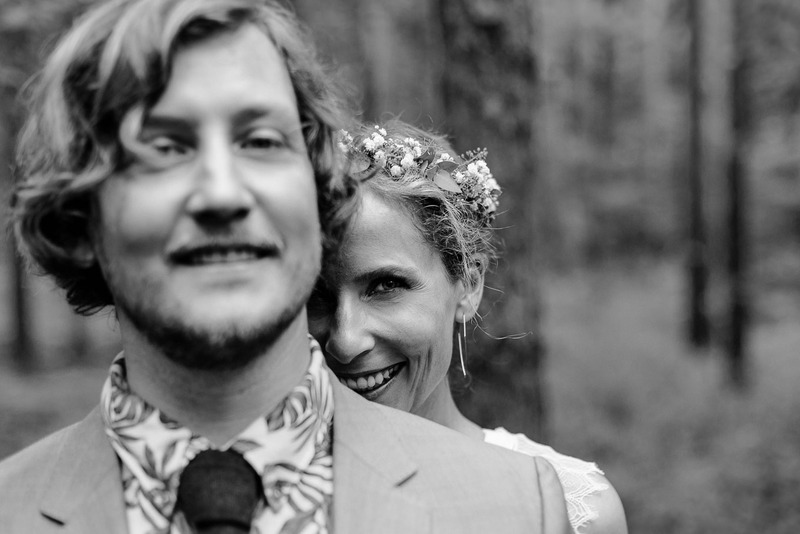 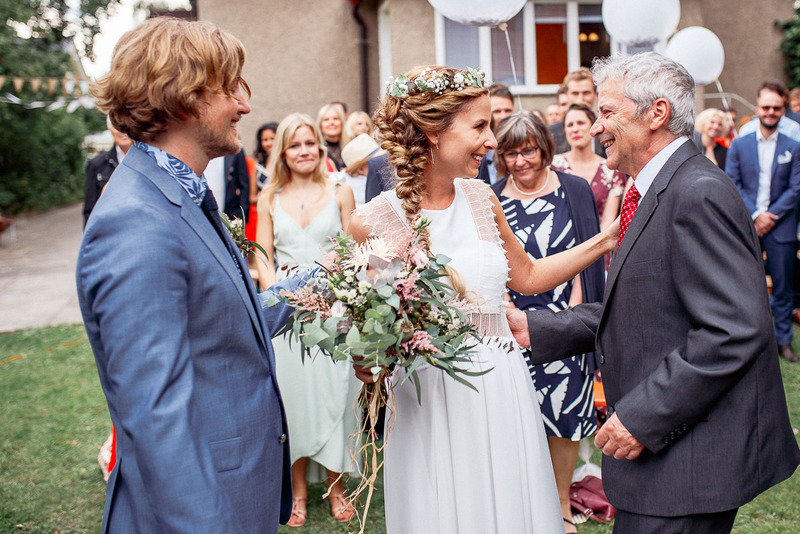 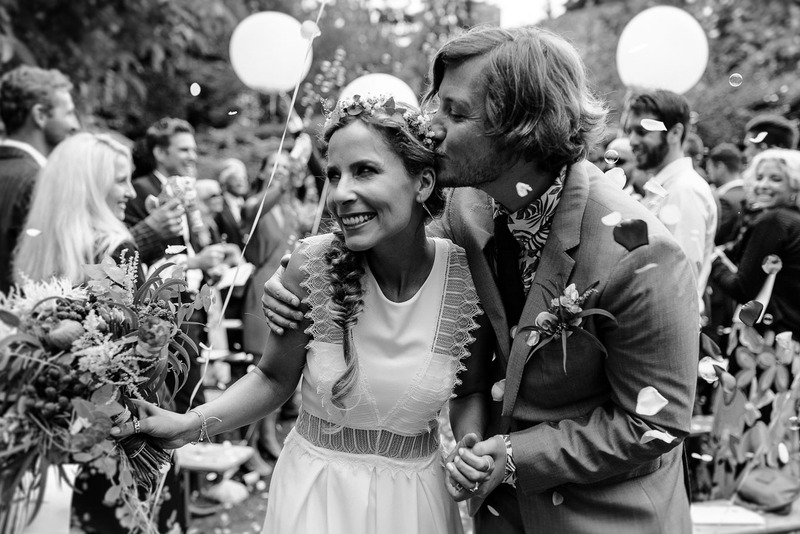 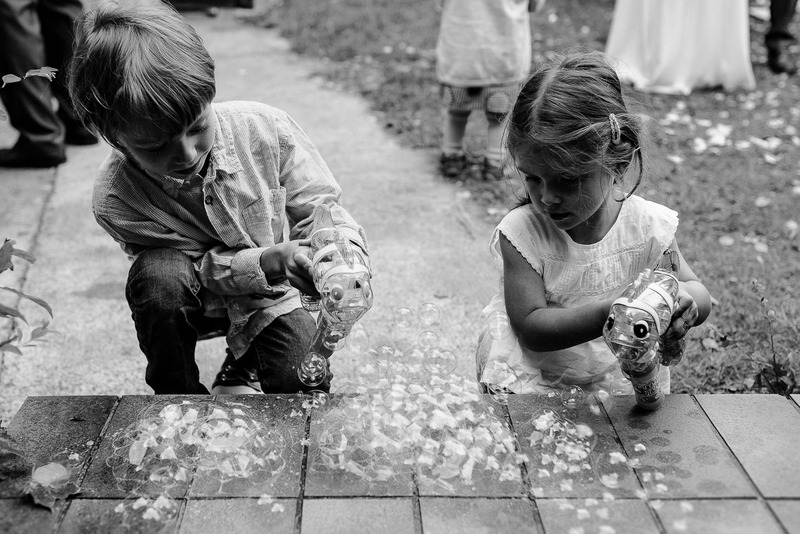 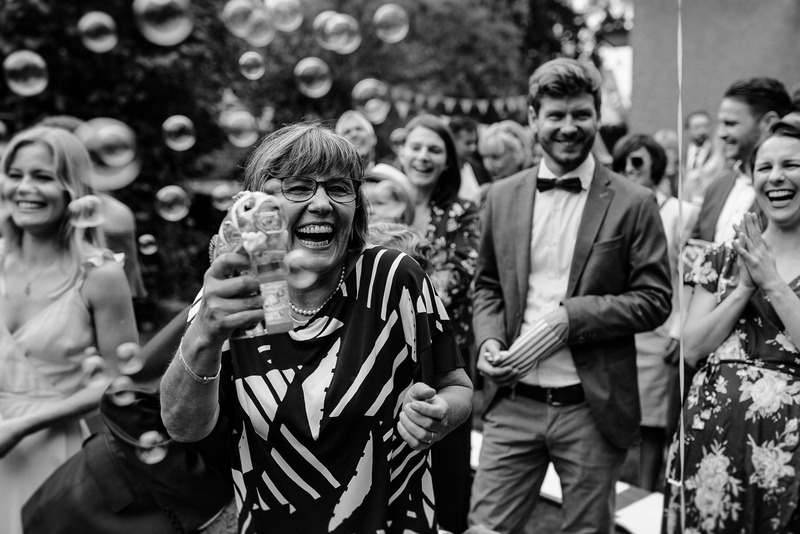 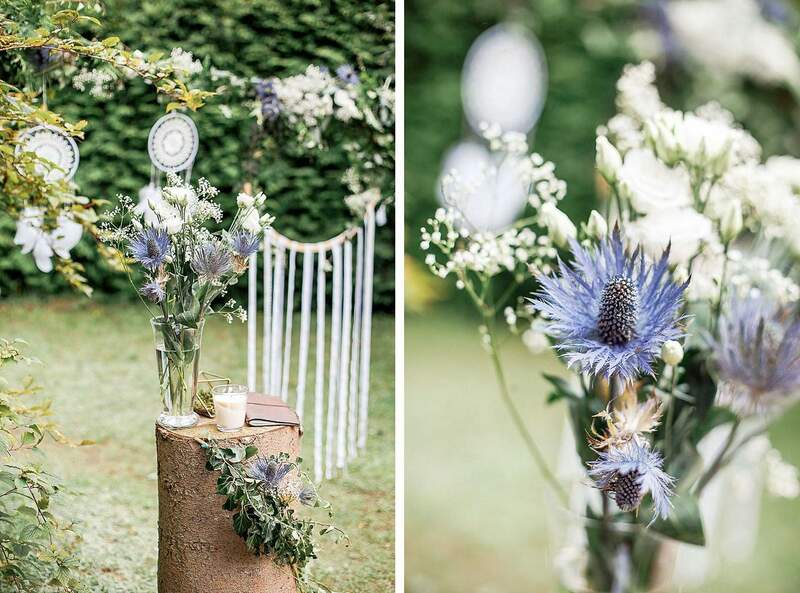 Another beautiful DIY wedding in the countryside: Nelli and Frank on Gut Sarnow. 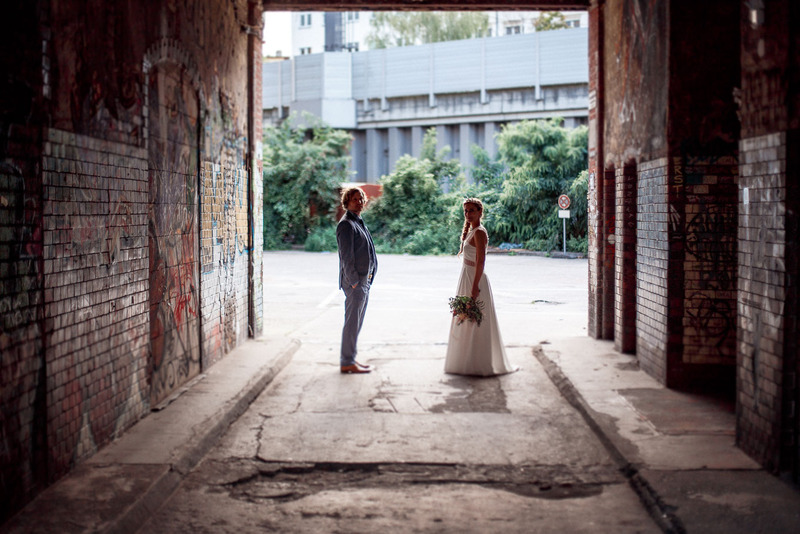 If you are interested in other urban weddings you check out this special wedding story of Sian and Renard at Spreespeicher. 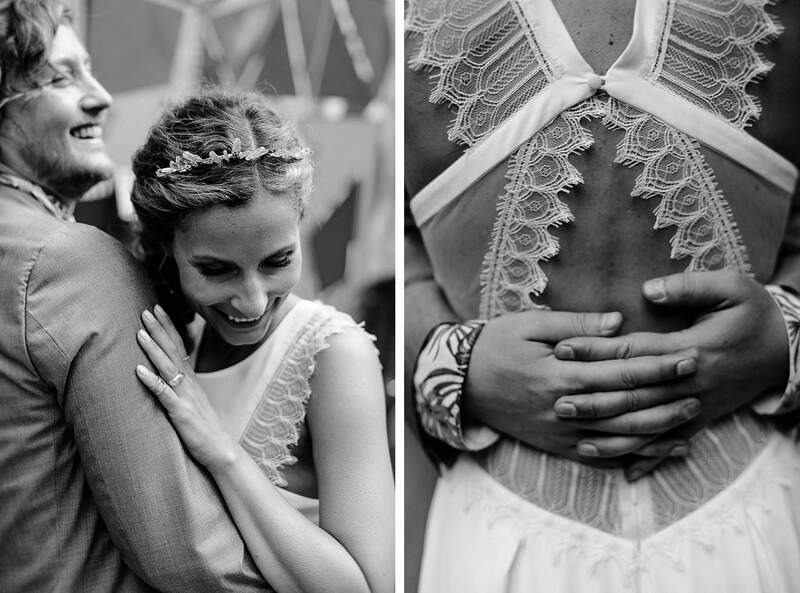 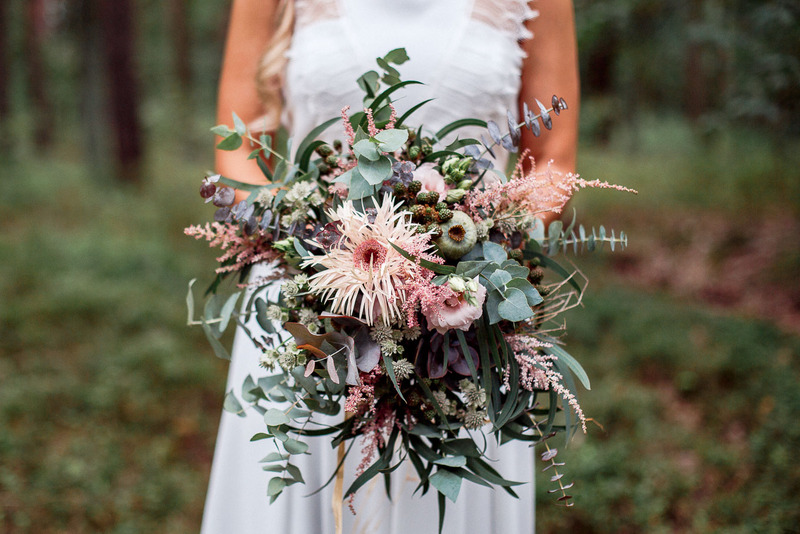 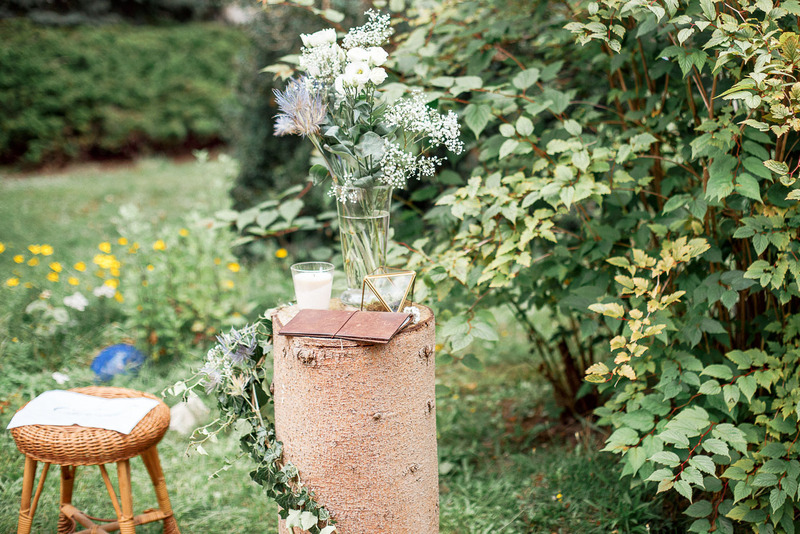 Another gem is this Vintage-Wedding at the Botanical Gardens. 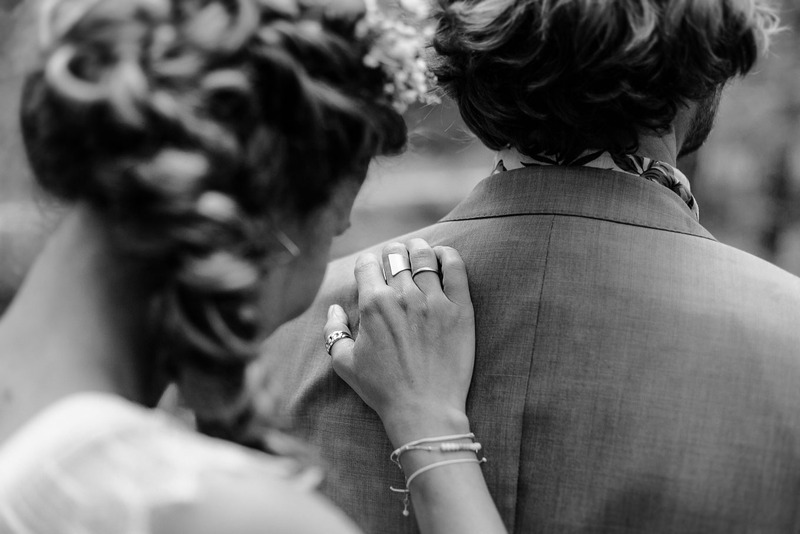 And here is a link to my home page.